The Story: Diving with Stellar Sea Lions is a fantastic experience, and at Hornby Island there is no shortage of inquisitive mammals. 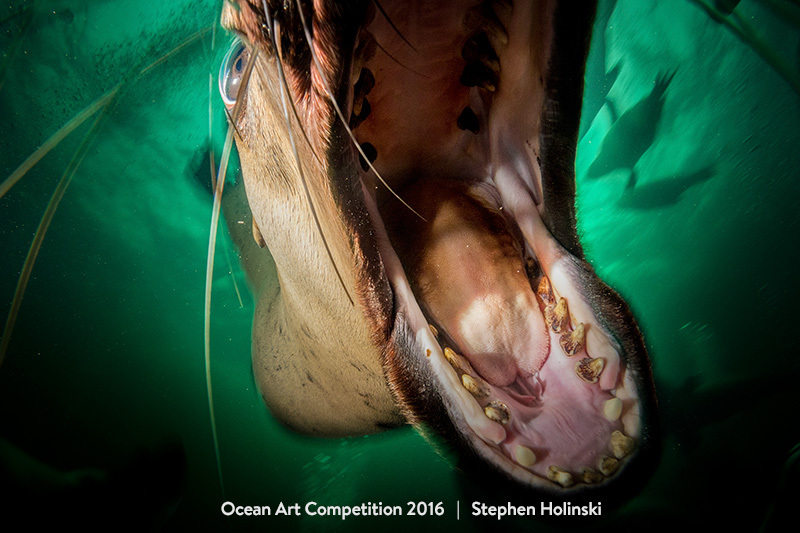 Sea Lions regularly put everything and anything in their mouths, including cameras and camera pieces! In this shot, the sea lions interest was in my wet lens and I happily snapped away with my strobes turned inward as this individual opened wide to fit my lens in its mouth. Camera: Sony RX100 (F5.6, 1/25, ISO 400) with Ikelite Housing and Dual YS-110a Strobes.